Tourism is a vital tool for political and economic change. Calls for boycotts by tourists of countries with undesirable political regimes, the use of tourism to initiate political discussions, increased pressure for fair trade, and the use of tourism for economic transformation all reflect the huge impact that tourist activity and the tourism industry has on political change. Issues of political involvement in tourism development and subsequent corruption and mismanagement of projects. As well as much more, all of which are used as a lens to discuss the past, present and future of the tourism industry. 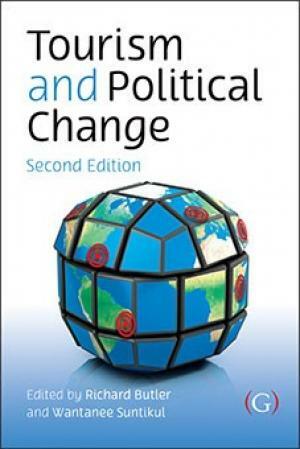 With international contributions from an esteemed list of experienced individuals, the book is subdivided into five sections, one introducing general themes and issues (Introduction) and one summarising key findings and implications (Conclusions) and three thematic sections with original chapters which between them cover a variety of political changes in many different parts of the world at different scales and their resulting effects on tourism. Professor Richard Butler is Professor in the Department of Hospitality and Tourism Management of University of Strathclyde. He has published widely in tourism journals, and produced eleven books on tourism and many chapters in other books. His main fields of interest are the development process of tourist destinations and the subsequent impacts of tourism, issues of carrying capacity and sustainability, and tourism in remote areas and islands. He is currently editor Emeritus of 'The Journal of Tourism and Hospitality Research' and winner of the UNWTO Ulysses Award for 2016. At The Hong Kong Polytechnic University. Besides teaching and researching, Wantanee has also been involved in several tourism related consultancy projects in Southeast Asia. Her core research interest and expertise are in the political, social and environmental aspects of tourism planning and development and poverty alleviation. Related pages: There are no related stories.